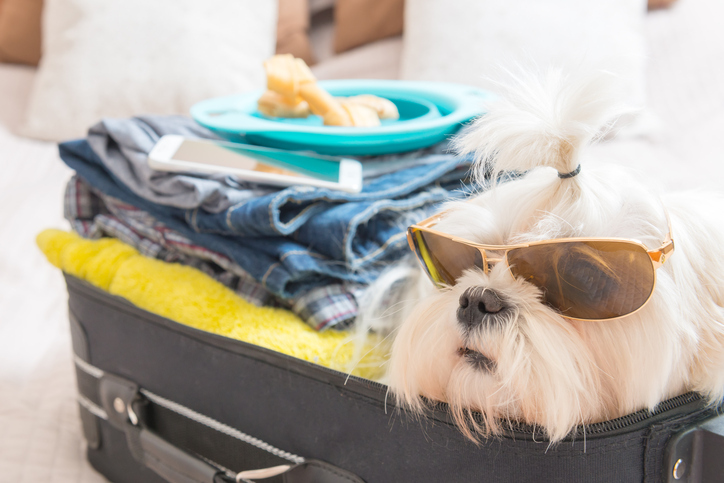 Before heading off on a vacation with your dog, you know there’re certain things you need to do to prepare. Research pet-friendly transport options, find pet-friendly accommodation, organize health certificates or vet checks. But, what about your dog? Are they ready for traveling? Whether you have a vacation coming up soon, or you know that you want to regularly travel with your dog, take these steps to ensure that they’re ready for traveling and enjoy the trip, too! Just like some humans get motion sickness, not all dogs are fans of traveling by car. It’s quite common for dogs to also suffer from motion sickness, even on short trips, while other dogs can be scared of getting in the car. It doesn’t help if their only experience of car trips are trips to the vet! Introduce your dog early and regularly to traveling by car. Firstly take them on short trips to fun destinations, whether a local park or to visit friends and family who will give them lots of attention and cuddles when they arrive. If they get car sick, ask your vet for recommendations. At the same time, make sure the car is a safe environment for them. They should be properly restrained and you should stop regularly for breaks, both for potty time and to stretch their legs. Traveling involves introducing dogs to many strange environments, whether airports or hotel lobbies or even just a different house. Then there’s the challenge of eating out in cafes and restaurants, where they’re surrounded not just by lots of people, but also lots of tempting food. The best way to ensure that they react okay to all these strange environments is to introduce them to a variety of environments from a young age. Even if you haven’t done that, slowly introduce them to different experiences, whether a quiet cafe or traveling on pet-friendly public transport during an off-peak period. Reassure them with your voice and touch, be ready to remove them if they get overly anxious, and reward them with treats. If you’re planning on flying with your pet, whether in the cabin or in cargo, the best way to prepare them is to crate train them, ideally from when they are a puppy. Crate training also comes in handy in other scenarios, whether traveling in a car in their crate (a way to ensure they are restrained) or leaving them in a hotel room unattended in their crate. Encourage them to enter their crate and investigate it. A great idea is to feed them in their crate, so they associate it with a positive experience. If they willingly enter their crate and sleep inside of it, you know they are comfortable with it and will likely be calm while flying in it. If you’re struggling with any of the steps, or you just worry about your pet not following your commands or excessively barking, don’t hesitate to see a pet trainer. A trainer will be able to give you one-on-one attention and recommendations, tailored for your pet and yourself. Often it’s us humans who need more training than our pets, and once you have some tips on giving clear commands to your pet and not confusing them, their behavior will quickly improve. 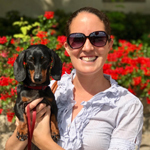 Okay, now this is certainly not as essential as the other areas of preparing your pet for traveling, but I’m sure you’ll want to take some cute photos with your pet on vacation to share on social media. Taking photos of your pet can be trickier than you expect (remember the showbiz maxim to avoid working with children and animals!) Whether your pet learns a certain command to sit still while you take their photo or they learn to expect a treat immediately after, work out what works best for your pet and yourself.